While playing some games with my son this weekend I had a chance to reflect on some of the games I played as a child, as well as some of the ways I amused myself when there were no friends to play with me. I was fond of Pick-Up Sticks, Tiddlywinks, and Jacks. I coveted my brother's Battling Tops and my sister's Mystery Date. 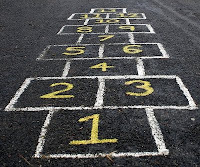 When I was outside I loved hopscotch, my pogo stick, jumping rope, and blowing bubbles. I'm sure if I set my mind to it, I could come up with other games I enjoyed, and I'll bet you can too. So, your challenge this week is to write about a favorite game or pastime from childhood. Leave me a note about your poem and I'll post the results here later this week. Today I'm sharing a poem from the November issue of Poetry magazine. The round up is being hosted by Greg K. at Gotta Book. Do stop by and take in all the great poetry being shared. Before you go, be sure to check out this week's poetry stretch results. Happy poetry Friday all! The challenge this week was to write in the form of rictameter, and unrhymed, 9-line poem with a syllable count of 2/4/6/8/10/8/6/4/2 in which the first and last lines are the same. Here are the results. a brand new form of poem. It is known as rictameter. Who is it makes up these poetry forms? Some clown with a post box in Maine? Kate Coombs of Book Aunt shares a poem entitled Snail. laundry from the garden's clothesline. Laura Purdie Salas shares a poem entitled Bear Attack. In the pile the size of a Volkswagen. Andy of Life Allegorical shares two rictameters at her web site. She also left this poem in the comments. Easter of Owl in the Library shares a poem about gifted kids. Julie Larios of The Drift Record shares a poem entitled Late Night Thoughts. looking for food and drink. kissing him before they even name him. Small hands remind him how to purr. Soft laughter fills the porch. Andi of a wrung sponge shares a poem entitled Swine Flu with Asthma. Bec of Re: Becca plays along for the first time and shares a poem about Scotland, complete with pictures. Welcome! 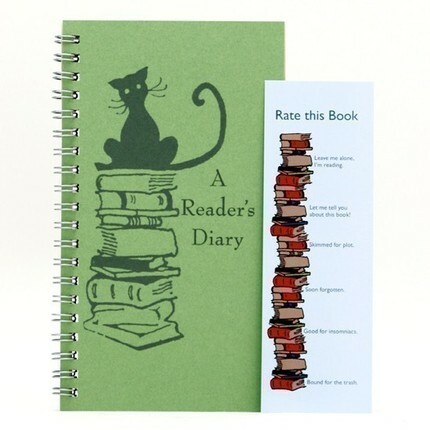 Mary Lee of A Year of Reading shares a rictameter that serves as a clever review of two books. Jone of Deo Writer shares a rictameter in honor of Friday the 13th. Denise Doyen left this poem in the comments. I agree with many of the writers this week who said that this form was particularly difficult to work within. I found it darn hard to make the first and last lines work seamlessly. Here are two of my drafts. but dreams. Make one big wish. It's not too late if you still want to play. Leave me a note about your poem and I'll it to the results. Today is Veterans Day. First called Armistice Day, this holiday falls on the day when the Germans and Allies agreed to end the first world war on November 11, 1918. Though originally established in 1919 to honor Americans who served in World War I, the name was changed after World War II and the day expanded to honor veterans of all wars in which the United States has fought. On this day and every other day of the year I am extremely grateful for all those who have served and currently serve us and our nation today with courage, honor, and sacrifice. Here are a few books I've read recently that highlight the lives of soldiers (no matter when, where or whom they serve) and their families. These titles can help us to see more clearly what their service truly means. Flygirl, written by Sherri Smith - Ida Mae is a young, light-skinned woman of color who wants desperately to fly. When she reads about the Women Airforce Service Pilots (WASP) program, she decides to keep her identity a secret and "pass" as white. The story of the choices Ida Mae makes to follow her dream provides an account of her training and describes the challenges and risks of being a WASP. Mare's War, written by Tanita Davis - Alternating between present and past, the story of Marey Lee Boylen's service in the African American unit of the Women’s Army Corp (WAC) unfolds against the backdrop of a roadtrip with her bickering granddaughters. 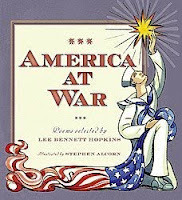 Mare's story is told as she experienced life in the 40's, and as such is filled details about day-to-day life during the war, the humiliations of segregation (even in the army), and the role of WACs in World War II. Operation YES, written by Sara Lewis Holmes - While ostensibly about the kids taught by Miss Loupe in Room 208 of Young Oaks Elementary School, the story as a whole is set against the backdrop of life in the military during a time of war. When the entire class rallies around a project that unites activism, art, and the town around the base, readers learn what it means to be part of the military family. Sunrise Over Fallujah, written by Walter Dean Myers - Eighteen year old Robin "Birdy" Perry, an African American born and raised in Harlem, is sent to Iraq at the beginning of Operation Iraqi Freedom in 2003. The emotional story of Birdy's service in a Civilian Affairs unit is an unflinching look at the life of a soldier deployed during a time of war. What other recent titles highlight those who serve? Please share, as I'd love to know what you've been reading. 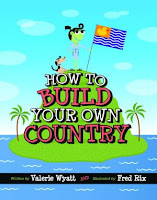 Debut Picture Book Cover - I'm In! 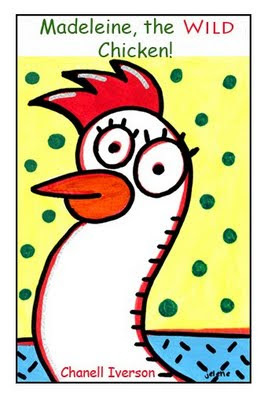 Over at 100 Scope Notes you'll find directions for creating your own picture book cover. Here's what you do. Go to The Name Generator and click GENERATE NEW NAME. The name that appears is your author name. 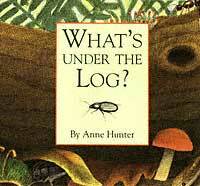 Go to Picture Book Title Generator and click CREATE TITLE! 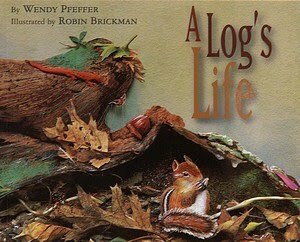 This is the title of your picture book. Go to FlickrCC and type the last word from your title into the search box followed by the word “drawing”. Click FIND. The first suitable image is your cover. Go to 100 Scope Notes to see the gallery of covers! I'm writing sonnets right now and seem to be forever tapping out meter and stresses, so this week I've picked a form that requires some syllable counting. Rictameter is a nine line, unrhymed poetry form in which the 1st and last lines are the same. The syllable count is 2/4/6/8/10/8/6/4/2. You can learn more about this form and read some examples at the group site Rictameter. What kind of rictameter will you write? Leave me a note about your poem and I'll post the results here later this week. The challenge this week was to write a poem about something that is described by virtue of what isn't there. Here are the results. Elaine of Wild Rose Reader shares three poems this week. No one waiting by my door. Easter of Owl in the Library shares a poem entitled Stepmother. Welcome! Tiel Aisha Ansari of Knocking From Inside shares a poem entitled Full Moon and Fog. of lanky oaks, surely amused by this midnight trollop. with this ol’ codger, the night before. Diane Mayr of Random Noodling shares a lovely little concrete poem. no slime of stately snails. no sour murk of skunk. no sweet melt of ice cream. Susan Taylor Brown of Susan Writes left this poem in the comments. yes, you're mine, in every way. On the old familiar swing. Tess of Written for Children shares The Little Sadness Poem. Jone of Deo Writer shares a poem entitled Missing the Huntress. Three Years and Counting - Happy Birthdy TMRE! It's hard to believe, but The Miss Rumphius Effect is three years old today. I started blogging in November of 2006 because I wanted to launch a practicum blog with my students during the spring of 2007. Before I asked them to do this, I was convinced I needed to model the practice myself. I'm not particularly proud of those first few posts, as they aren't really focused, but it didn't take me long to find my footing. Three years later, I'm still reading, still writing, and so very blessed by all the friends I've made in this amazing community. In the spirit of celebration, grab yourself a cupcake and dive into a few of my favorite posts from the last year. Things I've Done - Okay, this has nothing to do with books, it's just a list of 100 things with highlights for those I've actually done. Here's the funny thing about reading this list now. I noticed that 80 (Published a book) is not highlighted. I guess I decided my dissertation didn't count. 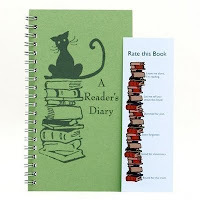 Gifts for Readers and Writers - I love buying gifts for others, and this list I put together last winter still offers many great ideas for the readers and writers in your life. Why I Love Opening a Book - The title says it all. And yes, I did love the book. Old, New and Everything In Between - What Should Children Read? - This question gets asked and answered a lot in the kidlitosphere. Here's my take on it. Low-Brow Topics That Make For High-Brow Reading - This thematic book list is by far the most frequented on the blog. It features the word poop 13 times. Need I say more? How Do I Love Thee Letter D? - Another post about me (vanity, I know), with every entry related to the letter d.
Poetry Makers Series - There's absolutely no way I could pick a favorite poet from this bunch, so you'll just have to peruse the interviews for yourself. Can I just say how awesome all these folks are? Thanks for sticking with me all this time. I hope to see you back here again very soon. I read this one and couldn't help but think of my Dad, the men who sit in the park, and those who gather daily for coffee and conversation at the local pharmacy lunch counter. Read the poem in it's entirety. The round up is being hosted by Elaine at Wild Rose Reader. Do stop by and take in all the great poetry being shared this week. Happy poetry Friday all! Last week my preservice teachers posted their reviews of books for teaching economics in the elementary classroom. This week they've focused on geography. I'm amazed at the number of wonderful selections they have, including nonfiction, poetry, and some very creative picture book suggestions. Head on over to Open Wide, Look Inside this week to see what they're sharing. Last week my students returned to the task of reading and reviewing books for the elementary classroom, this time with an eye for the social studies. This first time around they tackled economics. 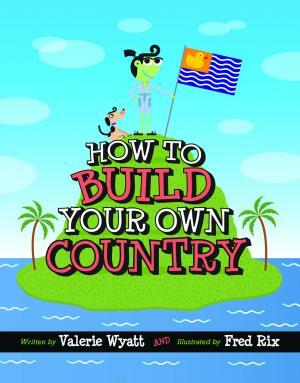 You'll find books on trade, barter, wants and needs, money and more. Head on over to Open Wide, Look Inside and see what they're sharing. Yup. 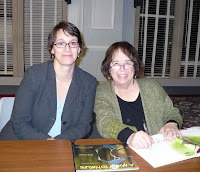 That's me sitting next to the inimitable Jane Yolen. Without completely gushing and getting all fan-girly, let me tell you that she is a lovely, lovely woman. After having her drop by to stretch with us so often, I was thrilled to finally meet her. Okay, bear with me for a sidebar, just for a moment. I know you've heard this before, but I work at an amazing institution. Two years ago I had the pleasure of dining with John Green and hearing him speak. He was brought to Richmond to deliver the Cathleen Mallaney Trees Lecture. Two weeks ago I lunched with Tobin Anderson and heard him speak as part of the All Henrico Reads event. Last night I had the great pleasure of dining with Jane Yolen before she delivered this year's Cathleen Mallaney Trees Lecture. The list of artists this university brings to campus is quite simply, fabulous. It is one of the best things about living and working in an academic setting. I have opportunities to see, hear and meet so many talented people that I would otherwise know only through their work. 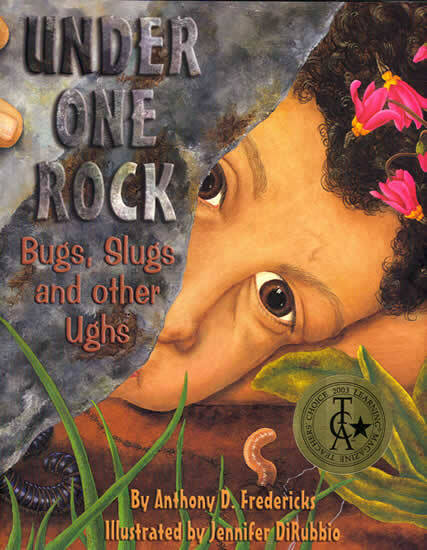 Alright, back to Jane Yolen. First, I should tell you that we I walked to the room where we would eat dinner with some colleagues. We made some general introductions and carried on a bit of small talk. After a few minutes I gathered up the courage to reintroduce myself as Miss Rumphius. At that point I felt like I was meeting an old friend. How is it possible that this crazy thing called blogging (or social networking, whichever you prefer) allows us to feel this way? Later in the evening, Jane gave a talk in which she focused on poetry. After beginning with a poem and an apology, she described an article published in The Atlantic Monthly on the state of poetry saying that author basically slammed the writing of poetry for children and implied that it's second-rate. I found the article, entitled Can Poetry Matter, and it isn't pretty. Here's what the author said. And a few loners, like X. J. Kennedy and John Updike, turn their genius to the critically disreputable demimonde of light verse and children's poetry. It is the phrase "critically disreputable demimonde of light verse and children's poetry" that Jane spent the evening carefully refuting with readings of poetry and the close examination of how much work goes into the crafting of a poem. In addition to reading her own work, Jane read the poems of Emily Dickinson, Pat Lewis, Lilian Moore, Lord Alfred Tennyson, and David McCord. She talked of poets writing with hope (hope for the right words, hope to finish), of poets as code masters, of poems as attempts to get at the truth, and more. She described the rhythm in poems, and how reading them aloud pulls you in, pulls you forward, and then sometimes stops you in your tracks. She described metaphors as being childlike without being childish. We heard many poems she has yet to have published--animal epitaphs, sonnets on Emily Dickinson's life, a poem inspired by and about Chagall, the text of a picture book in verse, and more. By all accounts it was a lovely evening. I can't think of better way to spend my time than to hear someone who's published more than 70 books of poetry read and talk about the craft. My thanks to Jane for once again providing me with real inspiration and a gentle nudge to keep writing. BTW, Jane gently ribbed me about loving Pat Lewis more than her. Wherever did she get such an idea?! Let me hereby decree that I do NOT have favorites in the world of children's poetry--I love you both! And you sit at the top of a rather long list of wonderful poets, many of whom I was honored to interview this year. The finalists for the 2010 AAAS/Subaru SB&F Prize for Excellence in Science Books have been announced. This prize "celebrates outstanding science writing and illustration for children and young adults." Sadly, the judges and editors are choosing not to award a prize in the hands-on category this year, feeling that there were no hands-on science books that met the high standards of the SB&F Prize. 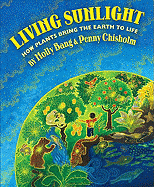 Instead of honoring a single book, they will be giving a lifetime achievement award to a hands-on science book author for "their significant and lasting contribution to children's and a young adult science books." The recipient of that award will be announced in early January. There are many terrific titles here, along with a few I haven't seen. (The Frog Scientist has been on my TBR for too long now!) While waiting for the winners to be announced, I'll be reading through these and making my best guess about the outcome. Won't you join me? 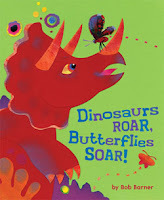 Why do I participate in kidlitosphere events like Nonfiction Monday and Poetry Friday? Well, in part because I love nonfiction and poetry, and in part because I know I'll have a post topic on those days. After blogging for nearly three years (yup, check that blogoversary counter on the right - just a few more days! ), I sometimes need a bit of help in deciding what to write about. However, one of the biggest reasons I not only participate, but visit the other blogs is because I find NEW-TO-ME, AWESOME blogs. Here's today's find and it's a treasure. Playing By the Book - Launched in July of 2009, this is a blog about "kids’ activities based on our favourite children’s books." The author reviews the books she reads with her daughters and then shows readers all the fun, creative things the books inspire them to do. Check out some of these ideas inspired by books. There is so much to explore here. Do take some time to visit. I know you'll be inspired by these amazing projects. I've been reading seasonal poems as of late and was so struck by this poem that it gave me the idea for today's stretch. Since my poems often try to capture what I see and hear, smell and touch, I thought it might be interesting to write a poem about something that describes it by virtue of what isn't there. So, there's your challenge for the week. Leave me a note about your poem and I'll post the results here later this week. I never tire of good books about animals. I am particularly fond of those that focus on narrow themes, like a single physical feature (such as Sneed Collard's Teeth), animal communication (such as Steve Jenkins' Slap, Squeak and Scatter : How Animals Communicate, or a particular group of animals. Many of Nic Bishop's books fit into this last category. Following on the success of his books on Spiders (a Sibert honor book in 2008), Frogs (the Cybils nonfiction picture book winner for 2008), and Butterflies and Moths, Bishop has turned his attention to Marsupials. While the photographs are sure to draw readers in (they are amazing! ), the text will engage them even more with its strange and wonderful collection of facts about this fascinating group of mammals. By definition, mammals are warm-blooded animals covered with fur that produce milk for their young. Marsupials are a special group of mammals identified by the presence of a pouch. While most folks can identify the kangaroo, koala, and opossum as members of this group, these animals represent just a fraction of all the marsupials scientists recognize today. Here's how the book begins. Most people know about lions, zebras, monkeys, and bears, but what about bettongs and bilbies? Or potoroos and pademelons? Dibblers and dunnarts? These animals live on the continent of Australia, along with kangaroos, koalas, wombats, and a whole crew of amazing creatures. And it's not only their names that are neat. Each mother raises her babies inside a furry pouch, or pocket on her belly. this special pouch is called a marsupium, and these animals are called marsupials. Bishop leads readers through the world of marsupials, first introducing them to the ways in which marsupials raise their young. From here he introduces readers to the members of the marsupial family that live outside Australia. The Virginia opossum is described in some detail, from where it lives to how it defends itself. While the Virginia opossum is the only marsupial in the United States, there are approximately 90 different types of opossums living in Central and South America. Who knew?! What I found interesting about this fact was this bit that followed. Most of these small opossums do not have pouches. Babies have to cling to their mother's belly instead, which can be tricky. Huh? Young readers might not pick up on this, but it jumped out at me right away. Here's where I wanted a bit more information from Bishop. If marsupials are generally characterized by a pouch, how can an animal without a pouch fit into this group? Perhaps it's not the pouch at all, but the highly underdeveloped state the young are born in. I'm not sure what the answer is, but now I need to know. After leaving the Americas behind, Bishop takes readers to Australia and New Guinea, "the absolute best places to see marsupials," and the place where more than 220 types of marsupials are found. He begins with kangaroos and moves on to wallabies (small kangaroos) and tree kangaroos. It's hard to imagine a kangaroo climbing a tree, but there are almost ten types of kangaroos specially adapted to life in the trees. Bettongs and potoroos come next, the tiniest relatives of the kangaroos and among the rarest of the "hopping marsupials." Then come the koalas. I knew that koalas ate eucalyptus leaves, but what I didn't know was that eucalyptus leaves are so poisonous that eating them would kill most mammals. Bishop mentions that koalas are full of surprises and shares many of their more intriguing characteristics. Here's one of them. Another surprise is that a koala's pouch faces backward toward its hind legs. How cool is that?! Instead of opening at the top, near the mothers head, a koala's pouch opens at the bottom! And it's not only koalas with such a pouch--wombats have them too. Since wombats live in a burrow this makes perfect sense, and serves the important function of keeping dirt out of the pouch. My favorite marsupial was the bilby. Here's how Bishop describes it. 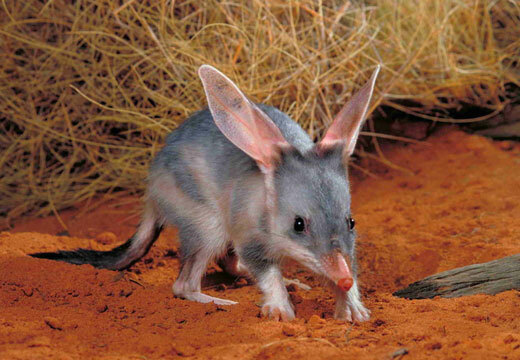 At first, the bilby looks like a mix-and-match puzzle. It has the ears of a rabbit, the legs of a kangaroo, the body of an aardvark, and the silky soft fur of a chinchilla. The book wraps up with a look at carnivorous marsupials, of which there are about fifty kinds. While you may have heard of the Tasmanian devil, you may not know of creatures like dibblers, dunnarts, mulgaras, ningauis, quolls, and numbats. Bishop devotes the final two pages to describing his work in Australia trying to capture these animals on film. Since many marsupials are nocturnal, this proved to be quite challenging indeed. Also included is an extensive index and a brief glossary. I found one weakness in the book that had more to do with design than with the actual writing. A number of the pages in the book are dark with dark text. For example, p. 8 is about the Virginia opossum. The page is dark purple with black text. One important sentence is rendered in a font that is both larger and a different color (pink! ), so it stands out and is easy to read. The rest of the page is difficult to read unless you are in bright light or hold the book at just the right angle. While the dark pages with light text pose no problem, this dark text on a dark background seems a terrible design choice. Unfortunately, this occurs several times throughout the book. Despite this complaint, I found this text to be a highly informative, well-written and gorgeously photographed book. My animal lover latched onto this one and wouldn't let go, crazy about the photos and the litany of new and interesting facts presented. Recommended. 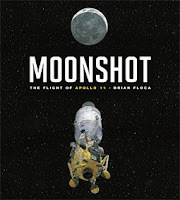 This post was written for Nonfiction Monday. 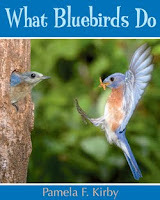 Hosting this week is Anamaria at the blog books together. Do take some time to check out all the great posts highlighting nonfiction this week.